We've selected the top brand in each category to better serve you. Learn why the top architects in Chicago repeatedly specify our products. 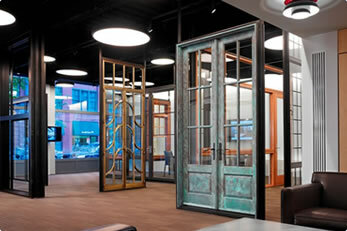 Interact with products at our Chicago River North and North Shore Showrooms. Our experience in every facet of the project simplifies your life. 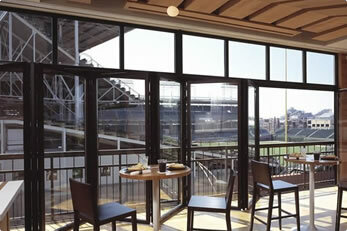 Specializing in custom window and door designs for commercial and residential properties. 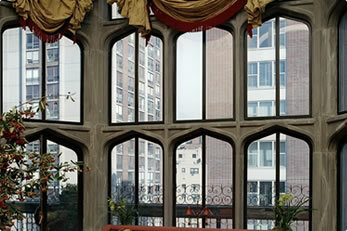 Offering the highest quality collections of window and door systems. At Assured Corporation we provide exceptional windows and doors from premier manufacturers. If you're looking for unlimited solutions under one roof, visit our showroom. With every client, we walk you through the design solutions that would suit your project, explaining the advantages of all the options and guiding you toward your best solution. During and after installation, we deliver superior technical support. Our goal is to leave you satisfied with our service and in love with your new windows or doors. We enjoy helping our clients create living art that's unique to their vision. We are always researching the market for new products that are in line with our mission and will appeal to our consumers. If there is something special you are looking for, contact us and we would be more than happy to work with you on a custom solution. Not only are we the leading-- and the oldest -- architectural window and door specialist, at Assured Corporation, we provide excellent customer service and personalized design advice to homeowners, contractors, and architects. We are happy to work on large projects, small jobs, and everything in between. Our clients include residential homeowners, luxury condo developers, commercial clients, and more. No matter who we work with, we provide the same white-glove service, visionary thinking, and personal touch that makes all the difference. Our clients include architects and contractors throughout the U.S. and as far away as Central America. Residential and commercial clients value our expertise, engineering and critical pathway. We are simply unmatched in the industry. Browse our services and find the solutions you need. At Assured, our job is to make your life easier.